In a small saucepan, combine first four ingredients; bring to a boil. Reduce heat; simmer, covered, until liquid is absorbed, 12-15 minutes. Remove from heat; let stand, covered, 15 minutes. Transfer to a large bowl; cool slightly. 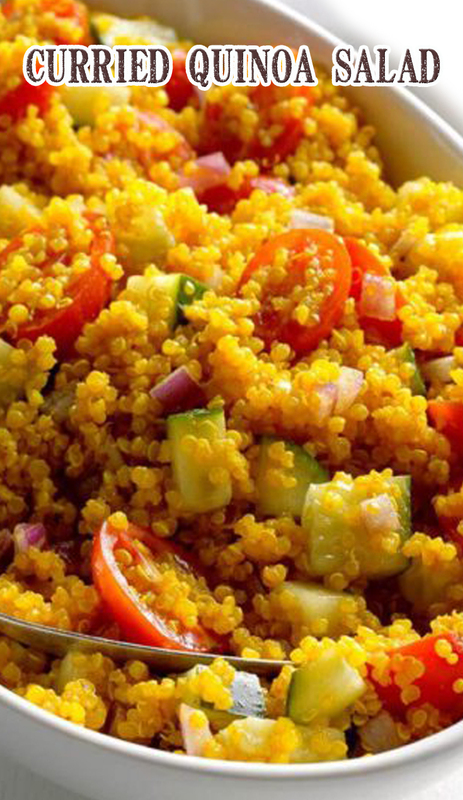 Add tomatoes, cucumber and onion to quinoa. In a small bowl, whisk together dressing ingredients; toss with salad. Refrigerate, covered, until cold, about 2 hours. Stir before serving.